Alberobello, whose population is about 11,000, dates to at least the mid-14th century when it was colonized by the Count of Conversano. 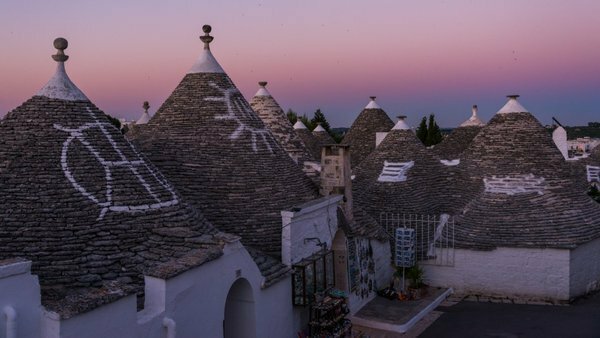 The town's distinguishing feature is its trulli, cone-shaped dwellings made from limestone. In this prehistoric construction technique, structures are built from interlocking rocks without the use of mortar. This made buildings easy to dismantle and reassemble. 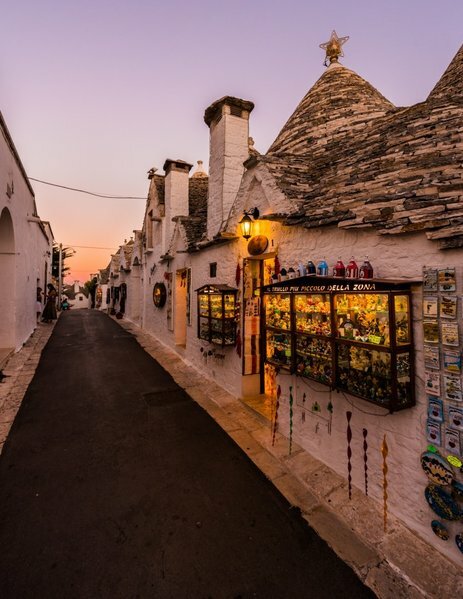 Alberobello contains some of Europe's best examples of this architecture style. 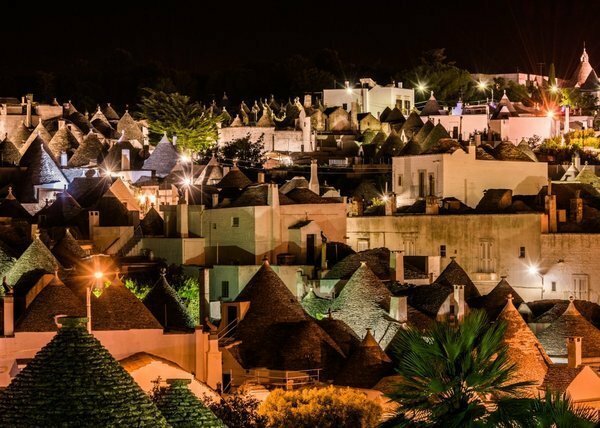 The trulli of Alberobello were recognized as a UNESCO World Heritage site in 1996.